Height easily adjusts up and down through 4" range. 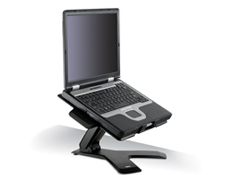 Swivels 360° and tilts forward and back 40° for optimal positioning. For notebooks or projectors up to 14 lbs. 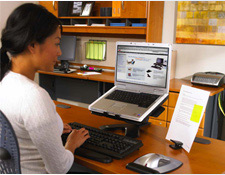 Includes attachment system for docking stations for quick and easy notebook connectivity.